Bruce Brummond, 100, of Crystal Lake, Illinois, formerly of Hutchinson, died peacefully Friday, April 13, 2018, at JourneyCare in Barrington, Illinois. Honorary casket bearers were Jason Brummond, Bridget Lawlor, Colleen O’Connell and Kevin Brummond. Casket bearers were Megan Shelton, Max Brummond, Carl Brummond, Cathy Quinn, Karen Brummond and Matthew Brummond. Military honors were by the Hutchinson Memorial Rifle Squad. Interment was Friday, April 20, at the Minnesota State Veterans Cemetery in Little Falls. Bruce Brummond was born Sept. 7, 1917, Buffalo Lake, Renville County, the son of Henry and Kathryn (Smith) Brummond. Originally christened Winton Bruce, he dropped his first name in his early years. He grew up in Renville County and in nearby Hutchinson. He graduated from Hutchinson High School in 1935. He entered active military service in the U.S. Army on April 26, 1942, in Glencoe, and served his country during World War II. He was captured during the Battle of the Bulge on Dec. 20, 1944, in Echternach, Luxembourg. Incarcerated as a prisoner of war, he was liberated by British troops in May 1945. He received an honorable discharge on Sept. 30, 1945, at Fort Frances E. Warren, Wyoming, and achieved the rank of sergeant. On Feb. 16, 1942, he was united in marriage to Mary Josephine Waldron at St. George’s Catholic Church in Glencoe. Their marriage was blessed with six children, Mary Kathryn, James Bruce, Robert Thomas, William Michael, John David and Charles Henry. The Brummonds lived in Hutchinson and Glencoe; Belle Fourche, South Dakota; Sparta, Wisconsin; Lake Zurich and Crystal Lake, Illinois. They shared 74 years of marriage before Mrs. Brummond’s death on Nov. 3, 2016. Mr. Brummond was the manager of various shoe and clothing stores and was a longtime employee of the footwear division of the B.F. Goodrich Company. He was a member of St. Anastasia Catholic Church in Hutchinson. Active in various veterans groups, he was a member of American Ex-Prisoners of War, American Legion, Veterans of Foreign Wars, Disabled American Veterans, 40&8 (La Societe Des 40 Hommes et 8 Chevauk) and the Fountains (Crystal Lake, Illinois) Veterans Club. He also was active in speaking to various groups about his experiences in World War II. He enjoyed stamp collecting, gardening and being with his family. He impressed many with a pleasant personality that he shared with all. 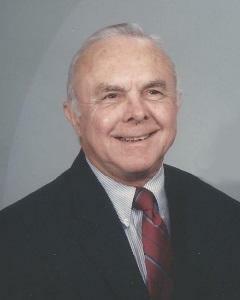 He cherished the time spent with his family, grandchildren, great-grandchildren and friends. He is survived by his children, Mary Kathryn O’Connell of Midlothian, Virginia, Robert Thomas Brummond of Lake Zurich, Illinois, William Michael (Donna) Brummond of Chesterfield, Missouri, John David Brummond of Bellevue, Nebraska, and Charles Henry (Patty) Brummond of McHenry, Illinois; grandchildren, Megan Kathryn Shelton, Bridget Lawlor, Colleen O’Connell, Jason Bruce Brummond, Max Daniel Brummond, Catherine Ann Quinn, Carl Patrick Brummond, Karen Marie Brummond, Matthew Paul Brummond and Kevin Thomas Brummond; 13 great-grandchildren; nieces, nephews and many other relatives and friends. He was preceded in death by his wife, Mary Brummond; parents, Henry and Kathryn Brummond; son, James Bruce Brummond; son-in-law, Robert O’Connell; and grandson-in-law, James Randy Shelton. Arrangements were with the Dobratz-Hantge Chapels in Hutchinson. Online obituaries and guest book are available at www.hantge.com.